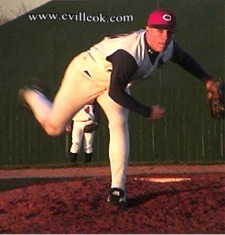 Jim West started for Collinsville but pitched into a based loaded jam in the second with 1 out. Christopher Treibt came in and bailed him out with a strikeout and a groundout to end Mannford's most serious scoring threat. Chad Ausmus gets a running lead off second as the ball is struck. Tyler Whitaker rounds third looking to see if he can make it home also. 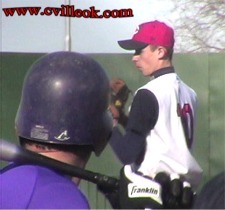 Christopher Treibt pitched 4.2 shutout innings and picked up the win. 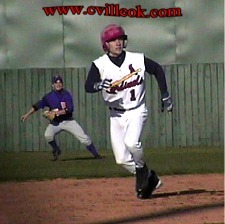 He was backed up by Ricky Rimpley on third base. 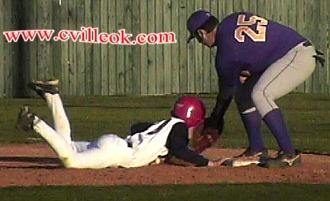 This Collinsville base runner got back to first just in time to beat the pick off tag. 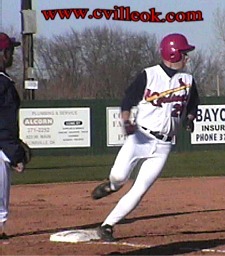 Rickey Rimpley hauls in a Mannford popup at third base. 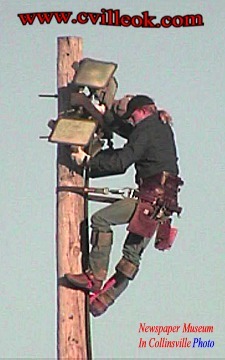 While the baseball game was in progress work was being done to get the lights ready on the small softball field (right). Jesse Bugg came in to get the final 3 outs of the Mannford game. 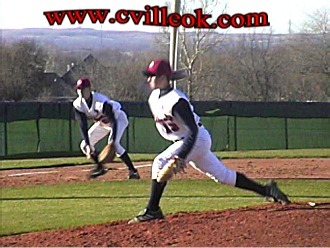 Shane Statum pitched all 7 innings against Ponca City and took the loss. He gave up 8 hits and had 7 strikeouts. Ricky Rimpley and Christopher Treibt each pitched 3 innings. Rimpley gave up 1 run. 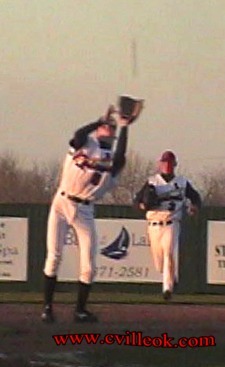 Treibt gave up 6 runs and took the loss against Enid. Tyler Whitaker pitched 6 innings getting 10 strikeouts and giving up 2 runs. Jess Bugg pitched the final 1.2 innings and took the loss against Woodward giving up the tie-breaking run in the eighth.